The image of a bowerbird, feathering its own nest, is often used to describe the proud homeowner of the detached house however, as the concept of home is now morphed to include apartment living, we felt it essential to re-imagine apartment living. BowerBird Life, the concept of k20 Architecture sets to provide a new standard in apartment living. For those looking for carefree living knowing their impact on earth is reduced BowerBird Life is the meaningful owner. BowerBird Life is eco-centric living: it places people at the centre of the building experience and the building at the centre of its ecology. It’s architecture for wellness and prosperity of people and the wellbeing and restoration of the land. Located in leafy and tranquil north facing Ormond, BowerBird Life is a stone’s throw from North Road, it’s strip shopping and the Ormond Train Station. BowerBird Life will sit comfortably between a house, townhouse and penthouse style living. k20 Architecture were mindful of the generic apartments dotted around Melbourne and its suburbs and took the path of responding to the needs of the local community, as much as the many streets lined with Californian bungalows from the 1920s and ‘30s. The deep terraces of Bowerbird, with their operable timber-battened screens, re-contextualises the Californian Bungalow, with their deep and protective porches. However, unlike the bungalows, air will move freely through the front windows via large sliding glass doors. A lantern-style roof, with highlight celestial windows will purge warmer air for those living on the top floor. 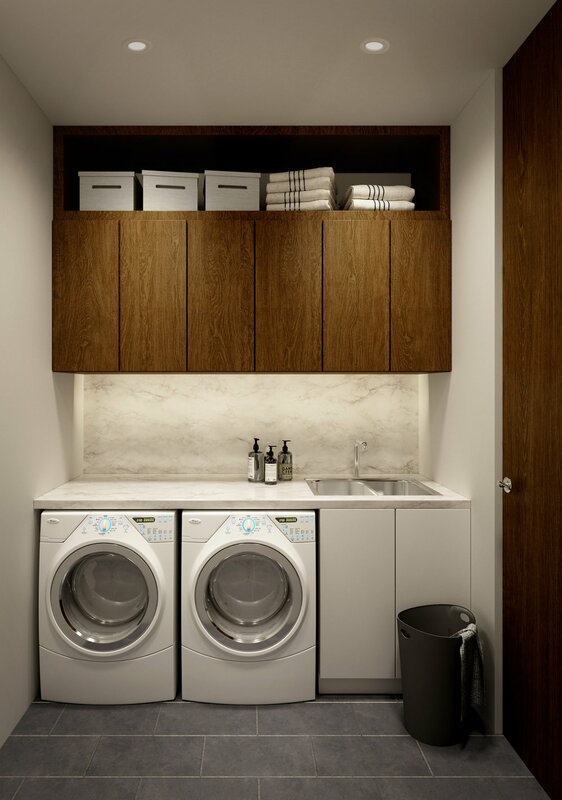 Conceived as 24 unique and individual handcrafted apartments, BowerBird Life will allow people to customise their homes and this can extend to include owners going vertically or horizontally within the building should they prefer the option of combining apartments. The timber-battened operable screens, a feature of the first and second-floor apartments, will not only animate the building, but create a ‘veil’ for both light and privacy. 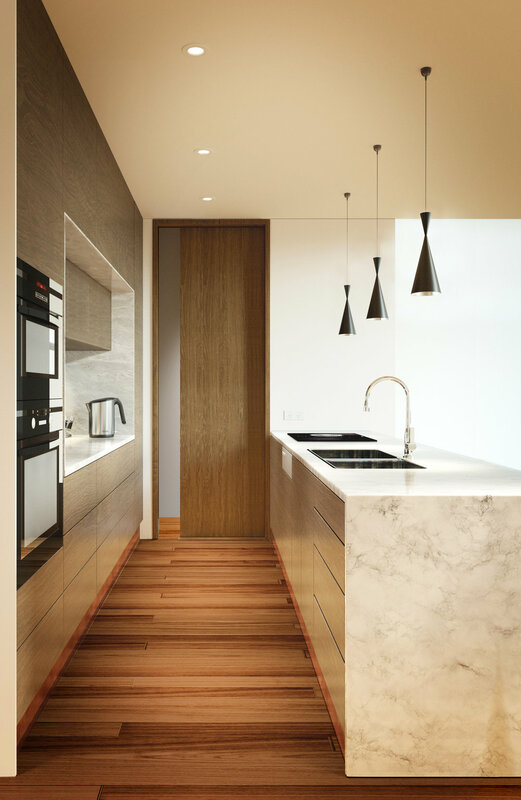 Even when these screens are closed, there’s a diffused dappled light entering kitchens, living and bedroom areas. The idea of weaving twigs together by a bowerbird is also reinterpreted at the entrance to the apartments. As with the bowerbird, residents will also appreciate customising their own nests, choosing materials or even rearranging spaces to suit their own individual needs.